June 16th; by the spring of 1965, Bob Dylan’s presence in the world of music was beginning to be felt well outside the boundaries of his nominal genre. Within the world of folk music, he had been hailed as a hero for several years already, but now his music was capturing the attention and influencing the direction of artists like the Byrds, the Beatles and even a young Stevie Wonder. With Dylan as a direct inspiration, popular music was about to change its direction, but so was Dylan himself. 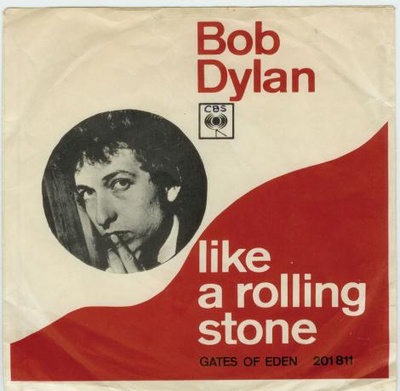 On June 16, 1965, on their second day of recording at Columbia Records’ Studio A in Manhattan, he and a band featuring electric guitars and an organ laid down the master take of the song that would announce that change: “Like A Rolling Stone.” It would prove to be “folksinger” Bob Dylan’s magnum opus and, arguably, the greatest rock and roll record of all time.